Founded in Montreal Quebec, CHTHE’ILIST was formed in 2010 by the duo of vocalist/guitarist/bassist Philippe Tougas and drummer Philippe Boucher. Their intent was to play abhorred and dark atmospheric brutal Demilich-worship technical death metal with over-the-top guitar shredding. The result would be the “Amechth'ntaas'm'rriachth” demo which caused quite the stir in the underground death metal scene. 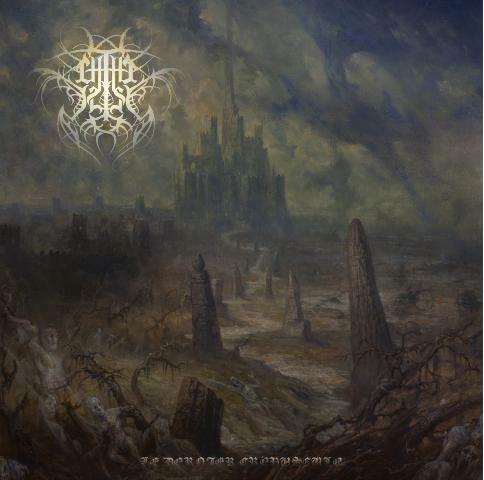 Now several years after the notorious demo, the debut CHTHE’ILIST album “Le Dernier Crepuscule” is finally preparing itself to emerge from beyond the stars. Putrid and morbid yet complex and otherworldly, “Le Dernier Crepuscule” is a death metal monument that calls out to the Elder Gods. Where complex dual-harmonic guitar harmonics lace the Finnish old school death metal influenced template through a vessel of utter doom, “Le Dernier Crepuscule” is a sonic pillage of colossal death metal horror.